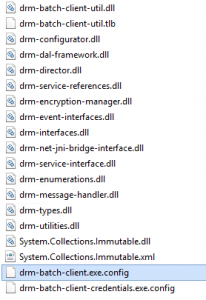 Home Oracle DRM DRM Batch Client Execution from Other Servers? I was recently asked whether it was possible to run the DRM batch client from a different server, than the one on which DRM is installed on. I had to think a bit on this as I normally just run any automations on the DRM box as a matter of habit. 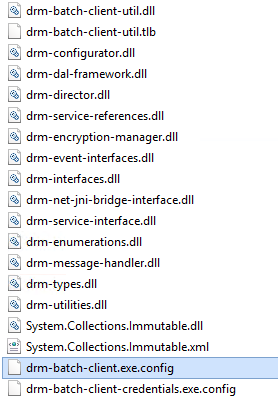 To refresh your memory, typically, you will find the DRM batch client in this location, on the DRM server. I thought to myself, as far as the batch client is concerned, all it needs is a TCP connection. So, as long as it’s on the same network, it should theoretically be fine. 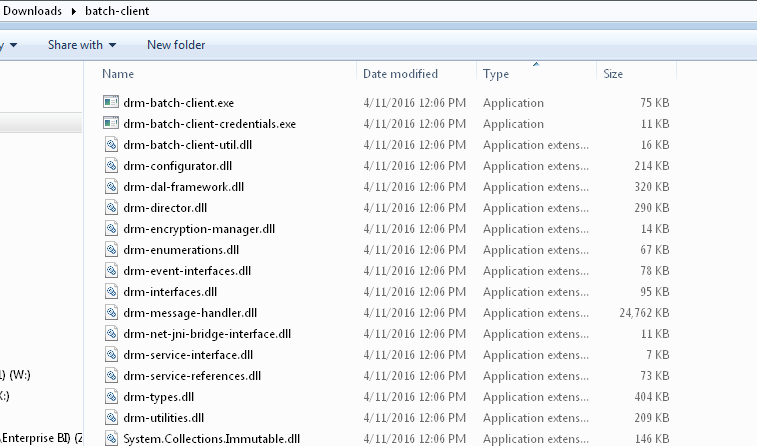 But, it makes sense that the executable probably needs all the other files in the directory to make things work. 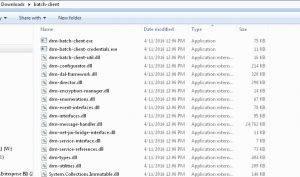 I then proceeded to copy the “batch-client” directory (ONLY!) on to a different machine. I tried to test out my theory by running a simple “open version” command from the command line. Make sure to change the server name, as seen below. Also note, that the “Current_Version” variable is set to “BEER_VERSION”. The command prompt did not give me any errors. And I check on DRM, my version is open! And that’s all there is to it! The use case I can see for this, is if you want to store all your automations in a central location. A quick tip, in case you run into situations like this.